I had existing solution built. 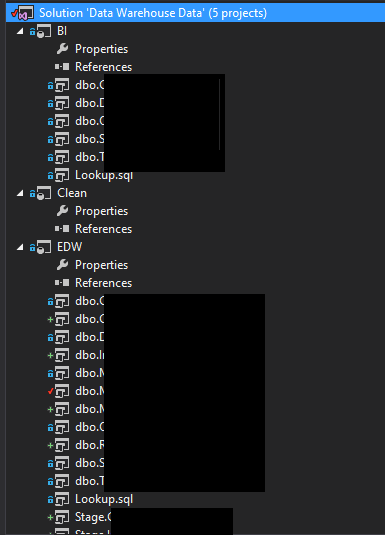 I've attached a screenshot of local repository folder structure. So to get started in GitHub, I created a company repository called "DataServices", and uploaded the entire code structure through the code >> Upload files functionality. 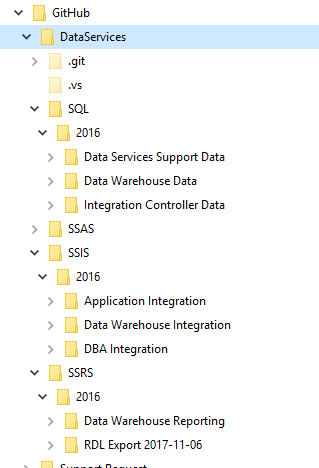 In my SSIS project, it's even worse. It looks like on the solution file was connected to GitHub, and nothing else. See the second screenshot. 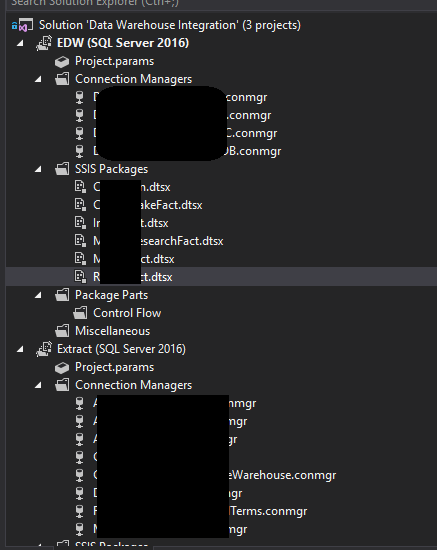 Just to make sure, I created a blank solution and selected "Add to repository" through visual studio, and created code into a brand new respository, then added some packages and check in the code. The result is the same. So at this time, I can't check in the code without having to use the website and "upload files". Our team cannot sync up as we don't know who has what checked out. Need some expert to tell us what's wrong, what to try, and how to save this.